In the past twenty years we have made major innovations in the field of remote controls. In cooperation with our clients we have developed systems that meet the demands of this time. Through the years our remote controls have not only improved strongly in quality, but also when it comes to the frequency of the remote control, the range and the application possibilities are better than ever before. 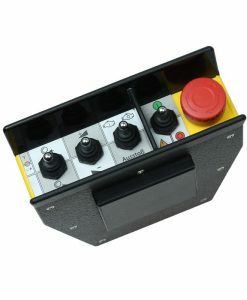 Also look at: Wireless Emergency Stop and Industrial Remote Controls. The combination between the transmitter and receiver is dependent on the number of channels to which your remote control must comply with. Remote controls are available with 2, 4 or 6 channels up to as much as 256 channels. The number of channels is highly dependent on the application for which the industrial radio control is to be used. Many of our clients manage very well with a 6-channel remote control. Because the applications which our clients want to use the remote control systems for are so diverse, we would like to help you personally in making the right choice. Did you know that our remote control systems are designed and produced in the Netherlands? We are extremely flexible in “made to measure” solutions for our clients and we can control the quality down to the finest details. Client queries translate into continuous development of both the hardware and the software. 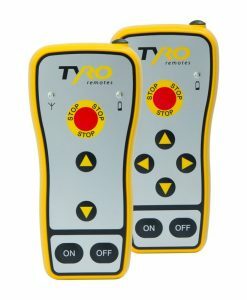 With a remote control produced by Tyro Remotes you receive quality with a high degree of user friendliness. After twenty years experience, we still receive customer requests for applications which we had never ever thought of before. 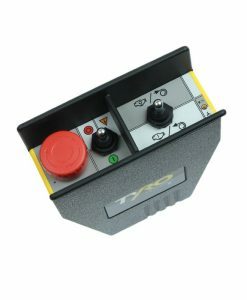 A remote control for a crane, a remote control for forestry or tow away truck are all standard applications. 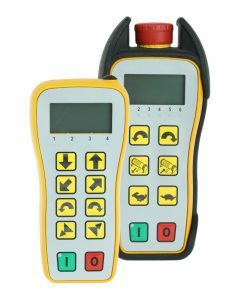 Did you know that our remote controls are also used for high-pressure cleaners, luxury yachts and for steering axles on trailers? These are just a few of the countless applications that can be thought of. Tell us about your challenge, let us provide you the best solution.